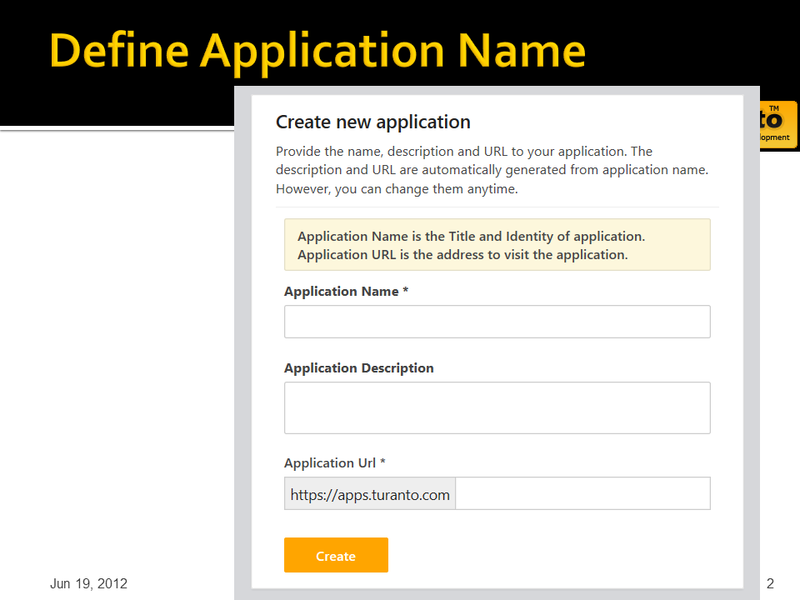 Turanto - Application Accelerator. 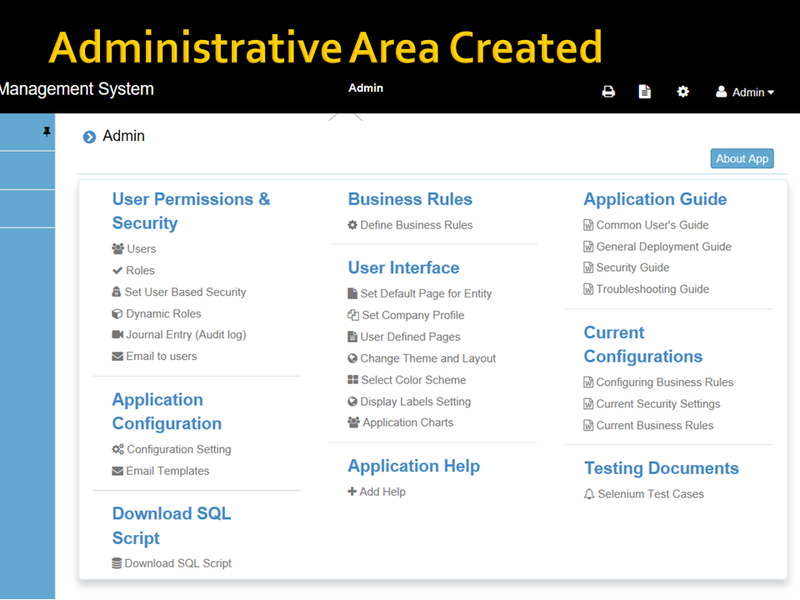 Generates Code and Deploys to Cloud. Turanto Writes Code. Deploys to AWS / Azure / Private Cloud. You Own Code. Modify as needed. An accelerated way to build applications. Both Web and Mobile. 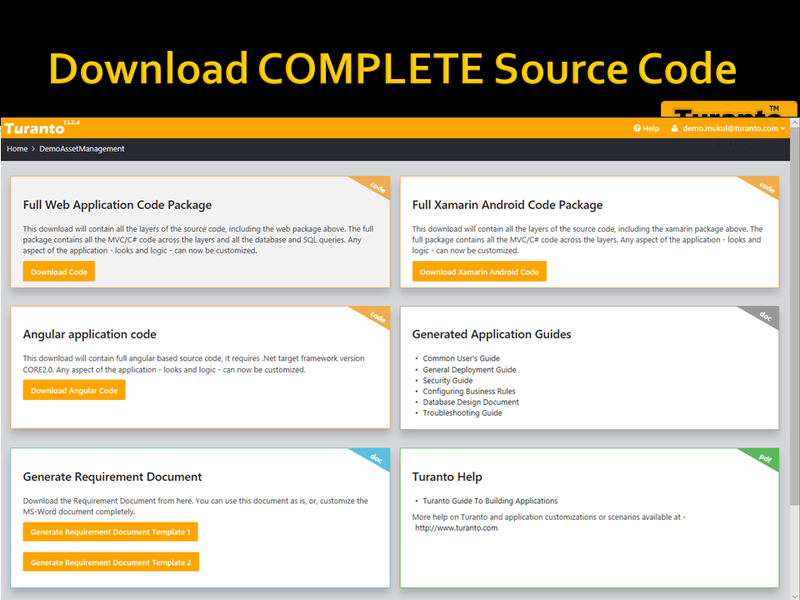 Turanto is a Low Code / No Code way to build applications. WYSIWYG. Run on AWS / Azure / Private Cloud deployment and DevOps. 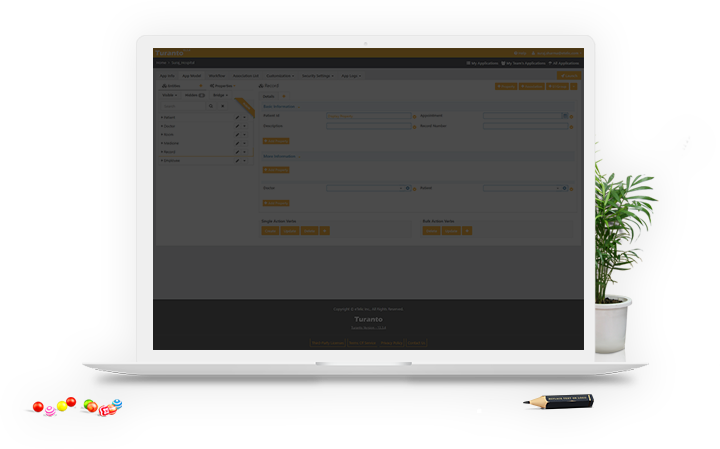 Design - without coding - integration with in-house or Cloud-based applications. Or, use Zapier to integrate with 500+ applications. Or, expose your application's REST API and let others integrate with it. Models. Templates. DevOps. Code. Docs. Your business model defines the software. Pre-defined templates dictate the code. The compile farm compiles that, and runs Devops to deploy. 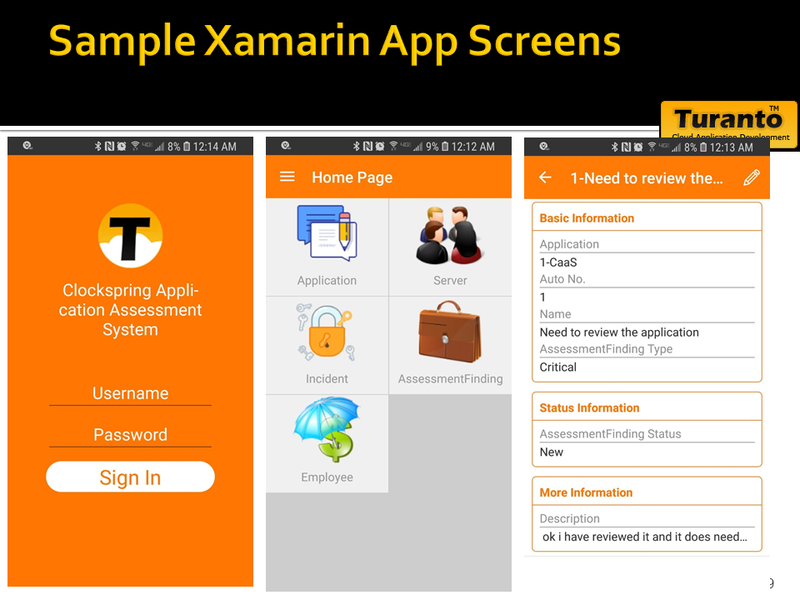 You can then configure the application or update the documentation or release it on the mobile application stores. Legacy Migration:Still running your business with spreadsheet? 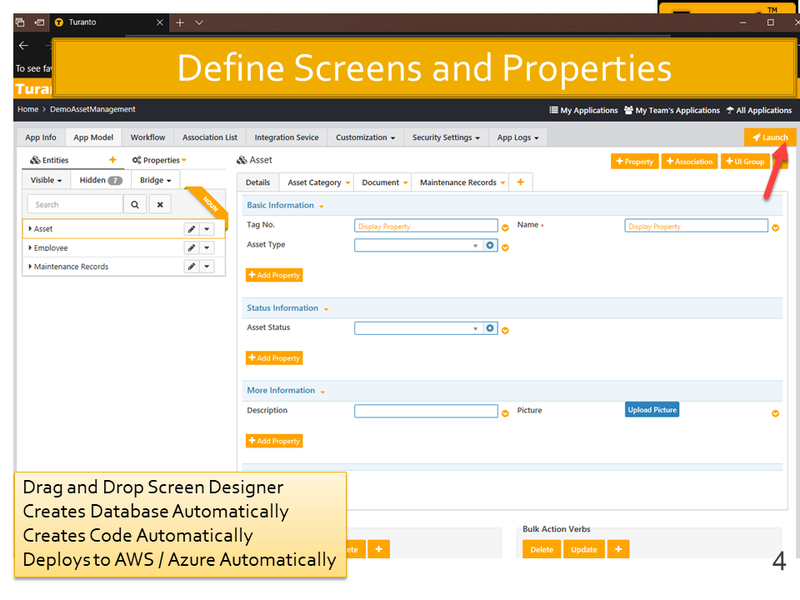 Or, wish you could combine multiple databases into a streamlined secure application? That is where Turanto can help. 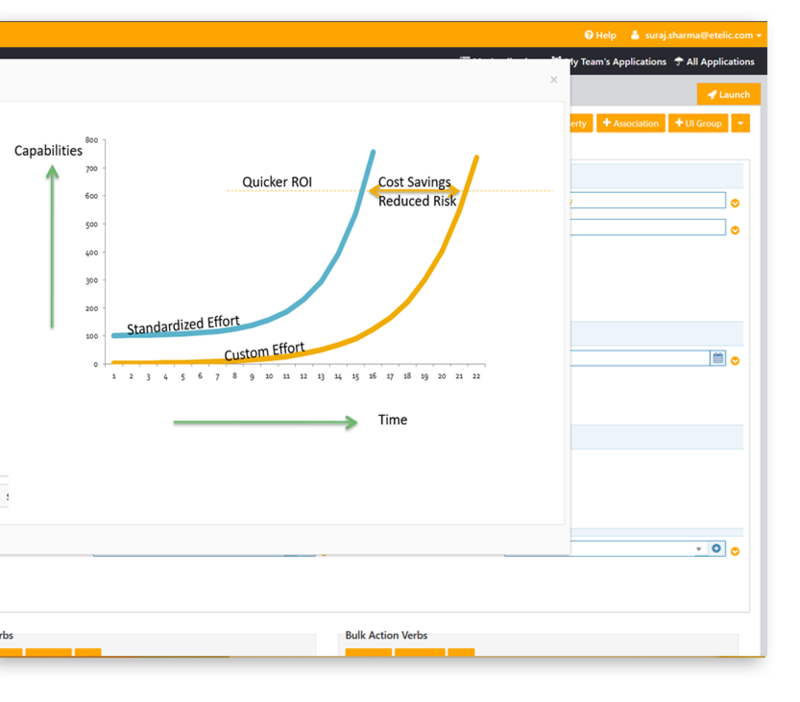 Risk Mitigation: Building applications is high risk. Quality. Cost. Schedule. Impact. Security. Compliance. Turanto is key to risk mitigation. Requirements Discovery: Business Users know business. Not IT. So, the requirements morph as they learn more. The changes shouldn't be dreaded - but welcomed early in the cycle. Pre-Tested Results: Testing is critical. Limited resources force priotization. 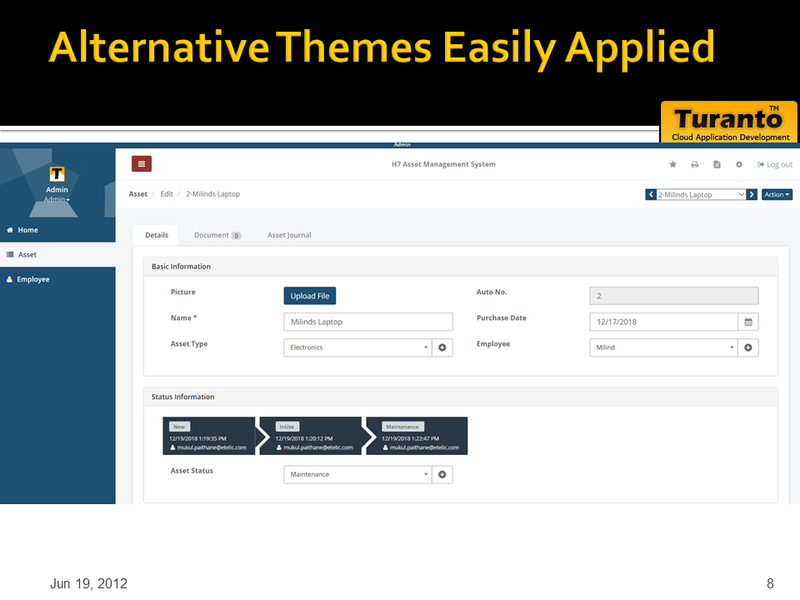 Turanto delivers pre-tested templates in your application - enabling you to focus on specific new capability. Savings: In dollar terms, Significant. In feature terms, even more. In risk terms, it makes no sense to develop differently. In rule-of-thumb sense, anywhere from 50-70% savings of development time. 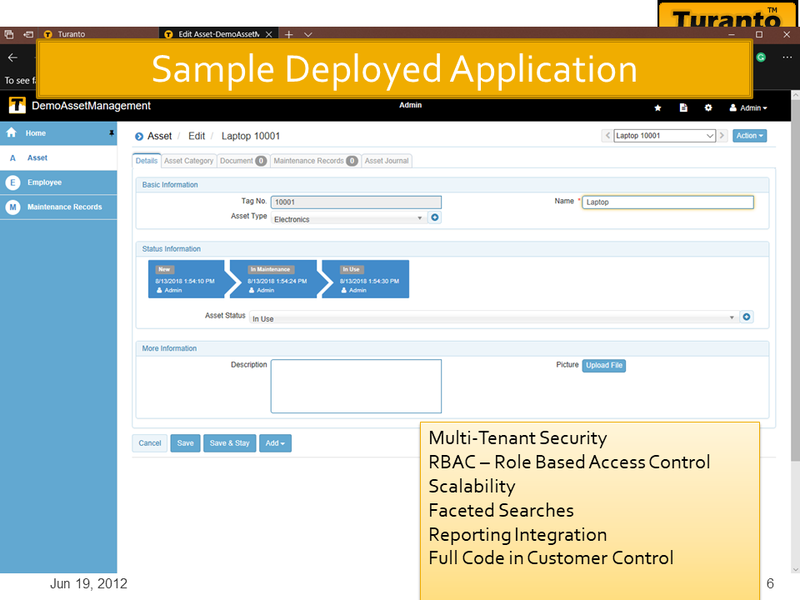 Applications across many industries have been built with Turanto. 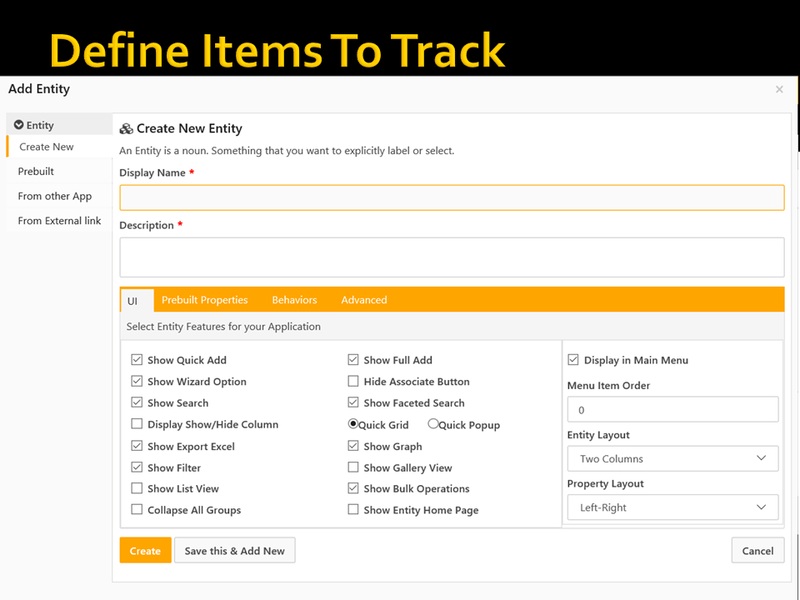 These vary from complex workflow processes leveraged by a few, to, thousands of users using them on the internet. Some of these are as-is out of the box, while some are heavily customized to support the customer branding. Turanto Overview Video [2min] – Understand the concept of Turanto. 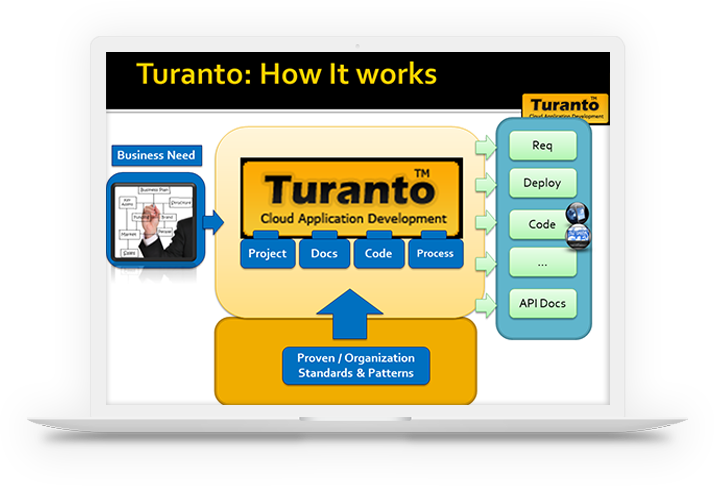 Creating Application Video [10min] – See how to create application with Turanto, without programming. 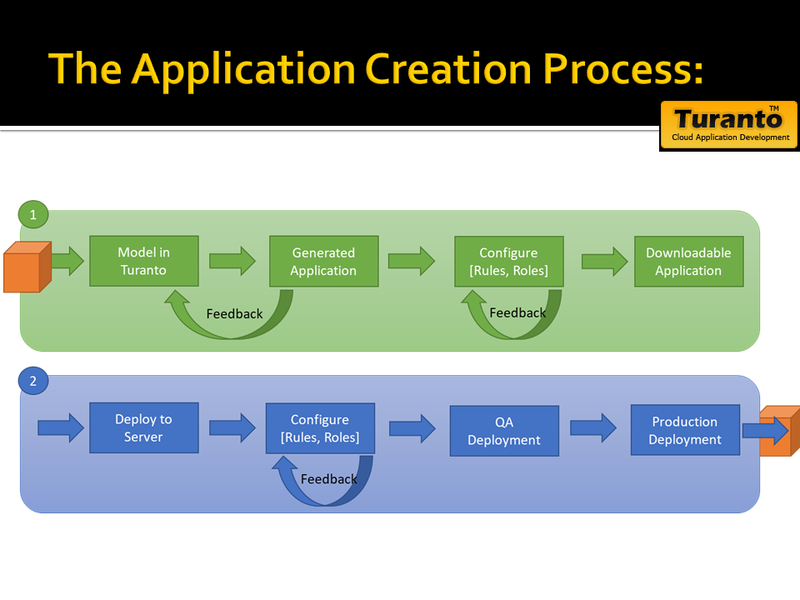 Understanding Created Application Video [10min] – Understand features of a Turanto created application.  Ready to use Turanto for your next project? 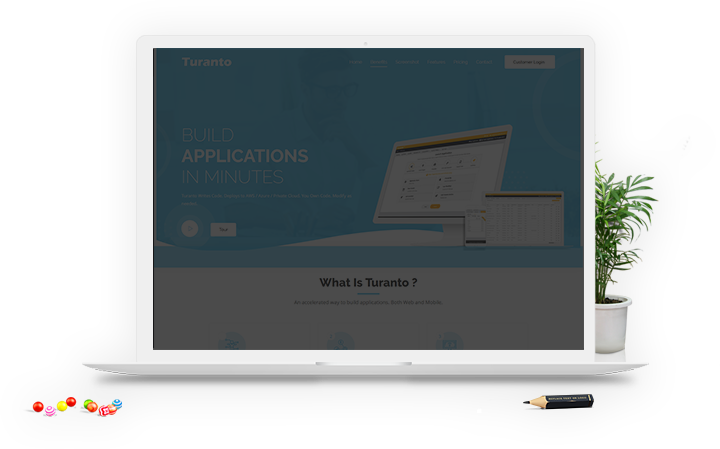 Turanto is a cloud based development tool to create web and mobile applications. We were faced with a lot of impossible deadlines on fixed priced projects. There was just no other way to develop. We grew, we outsourced, but the code quality suffered. 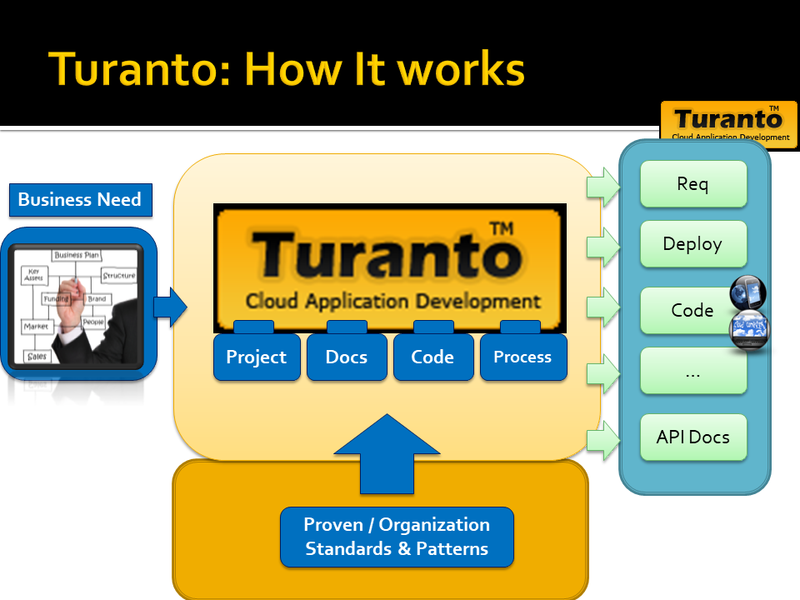 To enforce standards and to keep quality, we resorted to patterns based development and out evolved the tool … Turanto. We have been at it for almost four years – you benefit with a fraction of the cost. What kinds of apps is Turanto good at? An application that is algorithmic, or requires a lot of calculations, or is geared towards gaming is not a good fit for Turanto. However, the common business applications – tracking inventory, tracking sales, tracking marketing events, etc – are all a great fit. 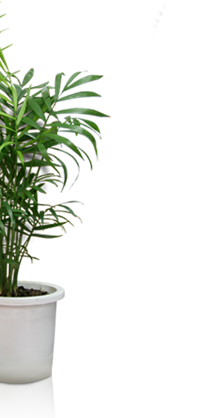 Significant time savings – almost 70% – can be achieved through the use of Turanto. The algorithmic and calculation aspects can then be integrated through standard programming, since the entire code base is available. What do I need to leverage Turanto? Do I need to program? No. You need to just tell us what items you want managed, how they are related to each other. You “tell” this by using forms with drop downs (similar to booking an airline flight), and not with programming. Yes. 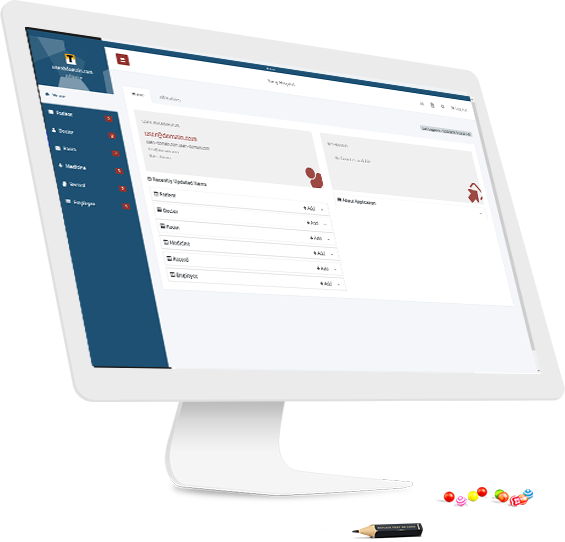 The common customizations such as logo, user interface elements, header, footer are all available without downloading code. 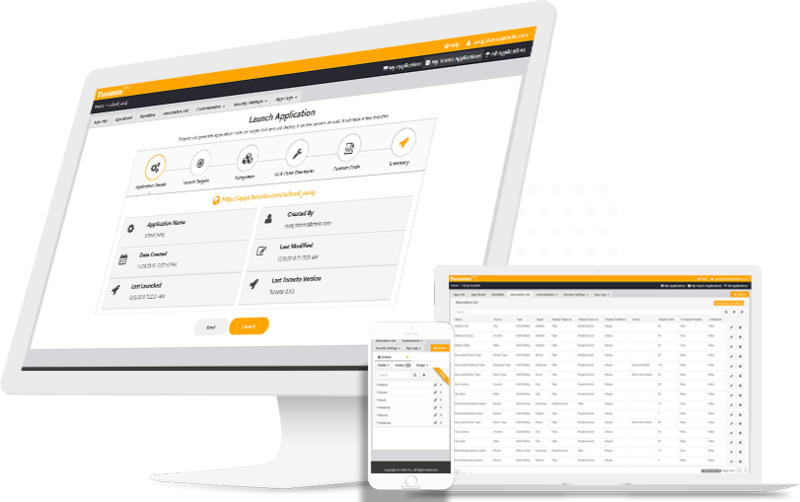 If you want to customize further, you can download the code and only touch the layers you wish to touch – typically, this is the User Interface, unless you want to modify the default Business Logic. Modifying one layer has no impact on others and they automatically adjust to reflect the changes made in other layers. 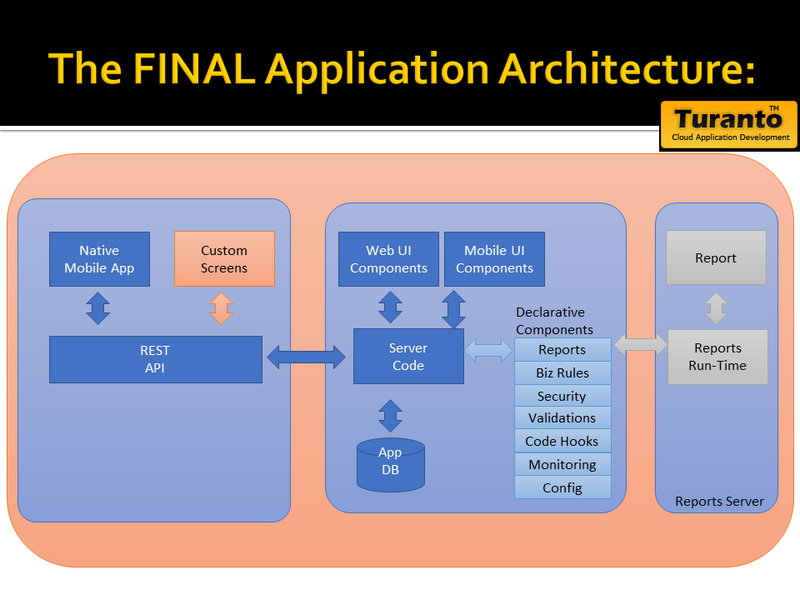 What is Turanto Application Architecture based on? A while ago Microsoft had “Patterns & Practices” publication as part of their Architecture Group. We have based a lot of our design decisions on those documents. While we did not follow it verbatim, it had a significant influence on the design. Contact us for References and Case Studies. Copyright 2018-2019 Turanto All Rights Reserved.